The Oppo F9 Pro looks brilliant, and has an impressive feature set too. But how does it perform? We find out in our review. The Oppo F9 Pro is priced at Rs 23,990 for the single 6GB RAM / 64GB storage variant. The smartphone features VOOC Flash Charge, the company's proprietary fast charging standard. The Oppo F9 Pro is a triumph in design, but falls a bit short on software and performance given the price. The smartphone segment in India is a complicated one, because of the sheer volume driven by an increasingly connected population. And while most smartphone users start in the affordable range, people who have been on a smartphone for a while will see reasons to upgrade. And given the differences is tastes, styles and requirements of a vast and diverse country like India, you’ll find something that appeals to everyone. 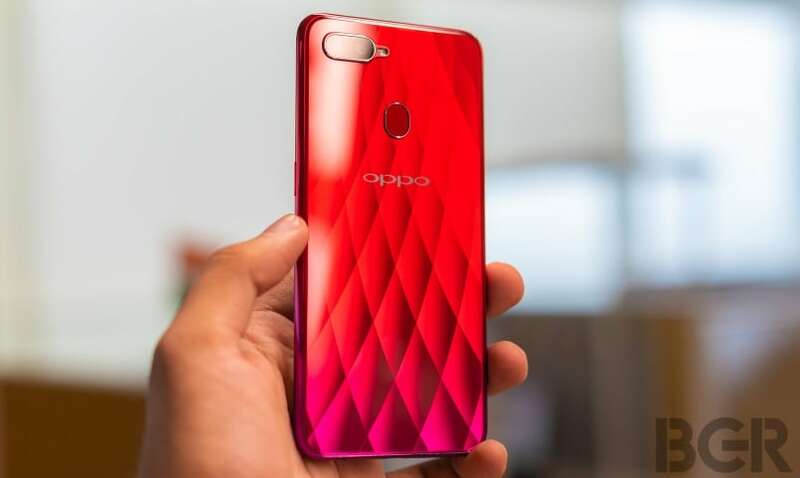 Here’s my review of the latest upper-midrange smartphone from Oppo, the Oppo F9 Pro priced at Rs 23,990. The Oppo F-series has always taken a different approach when compared to most other phones in its price range. 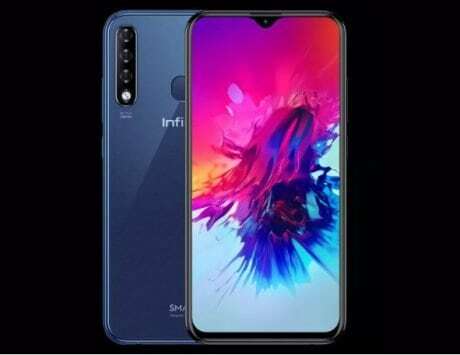 The F9 Pro is priced in the Rs 20,000 to Rs 30,000 range, with a focus on design and the front camera, appealing to users who enjoy taking selfies. While most phones in that price range tend to focus on specifications, Oppo seems to be enjoying a fair amount of success as a result of its approach. The F9 Pro looks impressive, and unlike anything else available in India today. While the basic design is as straightforward as it gets, the impressive bits are in the colors and patterns used, as well as the introduction of the waterdrop notch. 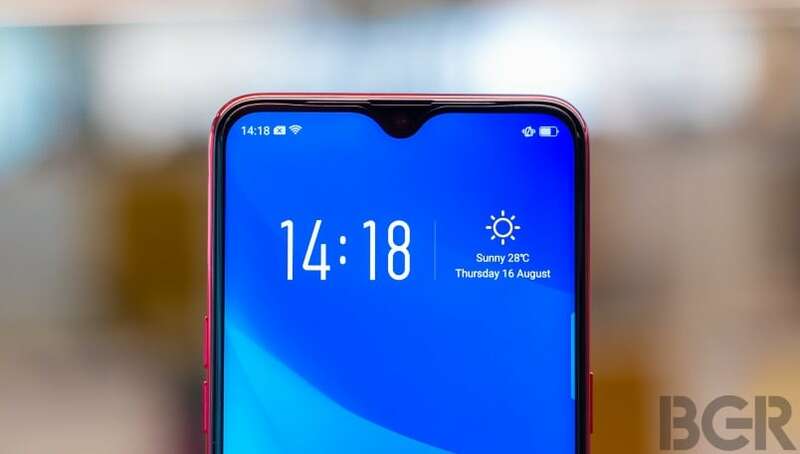 While other brands are already implementing the style, Oppo was first to market with the waterdrop-style notch, which increases available screen area without putting the front camera and earpiece in inconvenient places. The gradient pattern at the back makes for a phone that is many different shades of color depending on which angle you look at it. In the case of our particular review unit – the sunrise red option – the color is purple at the bottom and a deep crimson near the top. The Oppo logo also finds its place near the center, along with a fingerprint sensor above it and the dual-camera setup in the top-left corner. 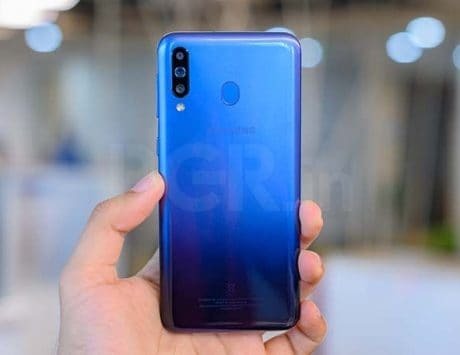 Interestingly, a similar color scheme can only be seen on the frame of the phone, which does indeed make the Oppo F9 Pro look great no matter how you look at it. However, while the phone looks fantastic, it doesn’t feel quite as nice as a lot of phones that cost less. 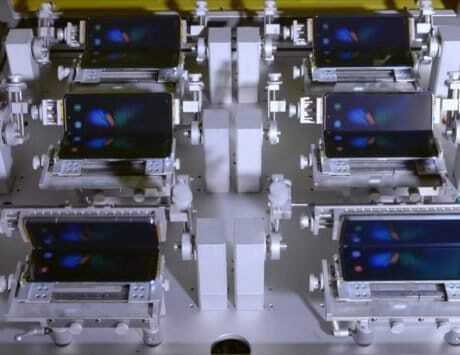 The frame and back of the phone are plastic, which takes away from the feel of the phone. The cold touch of metal and glass are definitely missed, particularly considering that this is a Rs 23,990 device. At the front is where there are significant changes. The Oppo F9 Pro sports a 6.3-inch full-HD+ IPS LCD screen with a ‘waterdrop’ notch. 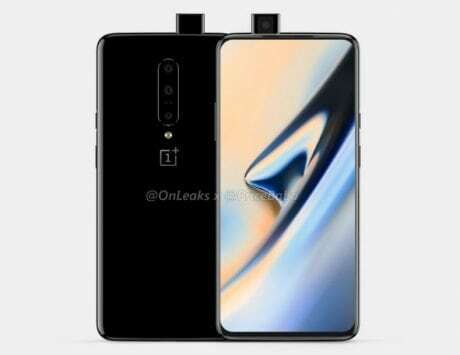 It’s just about large enough for the front camera and sensors, with the slim earpiece sitting right above and almost camouflaged against the rest of the screen. This ensures maximum screen space at the top while retaining the edge-to-edge screen design, without resorting to moving the front camera to the bottom or putting it on a mechanical module. The glass itself is the latest version of Corning’s protective glass – Gorilla Glass 6. It’s tougher, more resistant to scratches and drops, and generally promises more durability. There’s no denying that specifications sell in India, but we often tend to get confused about which specifications really matter. Often, the chipset brand doesn’t matter as much as the number of cores in the CPU and the clock speed, because higher numbers are automatically equated with being better. The same applies to RAM and internal storage; even if your use-case could easily manage with less, there’n never any harm in having more. The Oppo F9 Pro is powered by the octa-core MediaTek Helio P60 SoC, which comes with a dual-cluster design of four high-performance cores and four efficiency cores for basic tasks. You also get 6GB of RAM and 64GB of storage, which is expandable via micro-SD cards in the dedicated storage slot. You also get a 3,500mAh battery, along with fast-charging using Oppo’s VOOC standard. One drawback here is that the phone has a micro-USB port, which we did not expect to have to see on a Rs 24,000 smartphone. Notably, Oppo has implemented fast charging despite the older port, which is impressive. When it comes to performance, the Oppo F9 Pro doesn’t disappoint with most tasks. It handles multi-tasking, gaming and all kinds of usage well enough. The high-performance cores kick in during intensive gaming sessions, and even a resource-heavy game like PUBG Mobile is handled well enough by the phone. There are occasional frame drops and lag, but it usually sorts itself out before the experience becomes bothersome. The chipset is largely considered on par with the current-generation Qualcomm 600-series chipsets, and offers practically the same level of performance. The Oppo F9 Pro comes with a 3,500mAh battery, and with mixed usage it’s enough to keep the phone going for a day fairly easily, with a screen-on time of over four hours. What’s also interesting is the use of Oppo’s VOOC fast charging, which tops up the battery in a little over one hour. 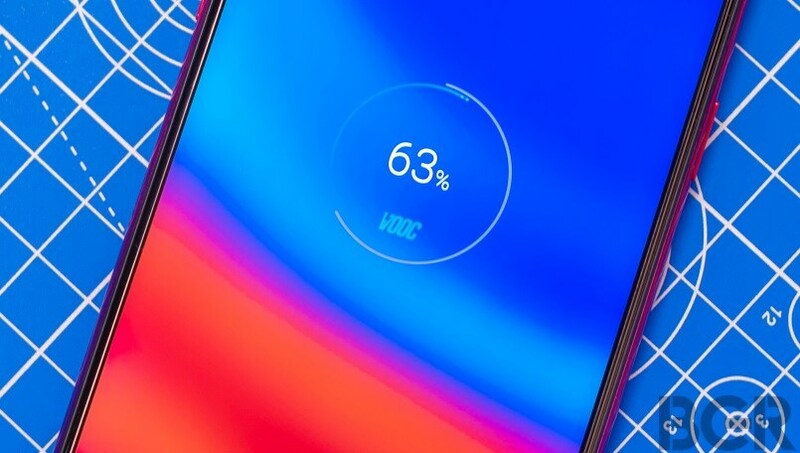 Notably, charging doesn’t slow down or throttle beyond a point for battery safety, since the VOOC charger itself handles the heat, without that strain being put on the device. Since VOOC uses the normal USB 2.0 interface and relies on special adapters and cables, it’s enabled despite the micro-USB port on the phone. 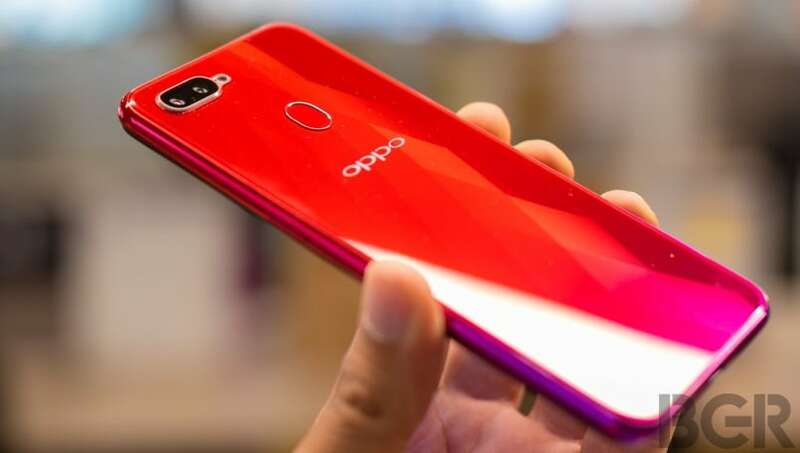 Of course, charging with any other charger is considerably slower as a result, which is important to keep in mind if you buy the Oppo F9 Pro. 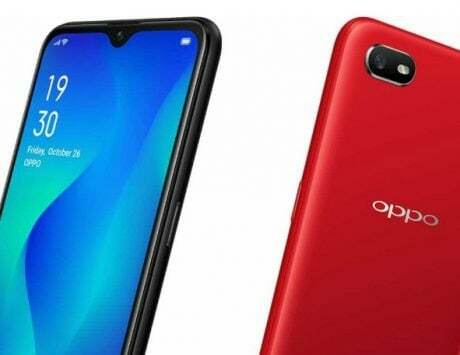 While Oppo F-series devices till now didn’t sport a dual-camera setup, the feature finally finds its way to the series on the F9 Pro. However, it’s a very basic dual-camera setup, as far as the idea goes. The primary sensor is a 16-megapixel one, while the secondary one is a more basic two-megapixel sensor. The only feature it enables is depth-effect for portrait shots using the rear camera. At the front, the Oppo F9 Pro sports a massive 25-megapixel wide-angle sensor, in line with the company’s focus on better selfies on the F-series. You also get a software-based portrait mode with the front camera. When it comes to photography, it’s clear that the Oppo F9 Pro is geared to ensure the best results when taking selfies. Indeed, pictures with the front camera are detailed, sharp and well composed on their own. 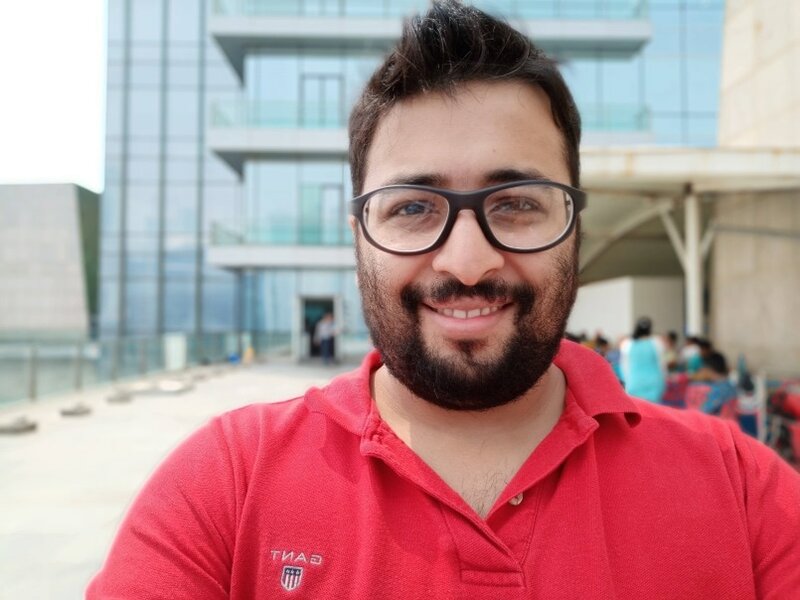 What also works are the various additional features for the front camera, including the software-based depth effect, the AI-based beautification mode and the AR stickers. These will appeal to selfie-lovers, and you will indeed get social media-friendly pictures of yourself from the Oppo F9 Pro. The rear camera is decent as well, producing sharp and color-accurate pictures that are good on the whole. As is usually the case, the best results are found on pictures taken in good lighting conditions, with a bit of a reduction in quality in low-light, which isn’t the strongest aspect of the camera. Portrait mode with the rear camera is alright for the presumably occasional times you might use it. 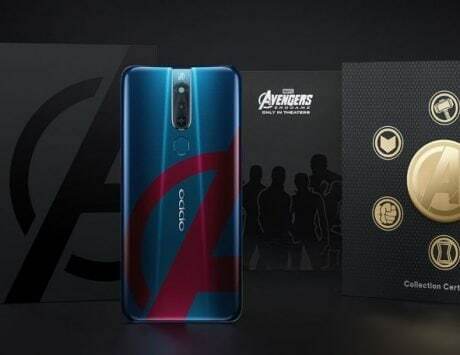 The Oppo F9 Pro costs a fair amount of money at Rs 23,990, and on many parameters, I was left wondering why. 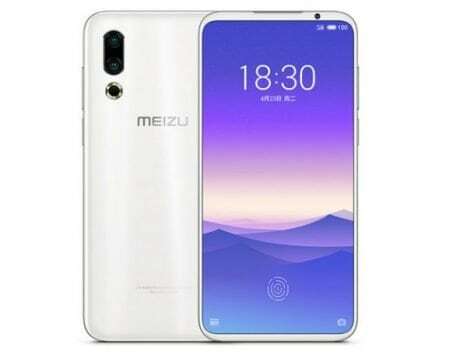 However, the phone has a very specific appeal, and will work particularly well for users who are looking for those very specific offerings from their smartphone. It has incredibly unique looks, a decent set of cameras and enough RAM and performance for most purposes, including intensive tasks such as high-end gaming. And the icing on the cake comes in the form of VOOC fast charging, which is indeed faster than anything else in the price range for now. Build quality is a bit of a let-down, and performance isn’t always flawless unfortunately, for which you would perhaps be better served by similarly priced devices such as the Nokia 7 Plus or Honor Play. However, if you’re looking for a stylish option with a big screen for media, good cameras and eye catching looks that will have people asking you what phone you’re using, the Oppo F9 Pro is worth a look. It’s also easily available to buy; just head on over to your neighborhood Oppo dealer and get one.